Most recent news is first. So, apparently there's a new album. I have to admit I've been horribly out of date and not able to keep up with everything; and likely won't. Not that Kevin was holding the band together or anything, but the BSB just really aren't the BSB anymore and I've decided to close this site - all the current content will remain here until there is some reason for it not to. Thanks everyone who has supported Flying Into The Millennium all these years... I can't believe it's been almost 10 years!! "Just Want you To Know" has been released as a single and a video internationally. NEW ALBUM "Never Gone" was released June 14th, and features the lead-off single "Incomplete." 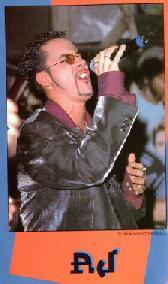 The Boys are currently doing a number of promotional dates including radio stations shows across the United States, and are touring North America starting in August of 2005. Backstreet Boys have officially announced that a new yet-untitled album and single will be release this year. The single should hit radio before the end of March with the album to come in the summer! Flying Into The Millennium has recently added a number of album and single scans. look for them throughout the lyrics pages! Still no 'official' word on any album/single release dates! The Backstreet Boys recently showed up at the Kiss 108 Boston radio show (May 22, 2004), all together, and announced that they are currently recording a new album, for release in the fall. They performed, a cappella, a new song titled "Movin' On"
I Want It That Way was recently named the #61 song of the last 25 years by Vh1. The Boys have filed a lawsuit against Jive records for not allowing them to fulfill their contract. 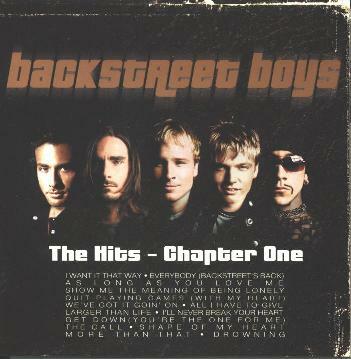 The lawsuit claims that the label was too busy with merger deals and producing Nick's album that approvals and such were delayed past the end of the contract held with the Backstreet Boys. Nick's new album "Now Or Never" came out October 29th, featuring the lead single "Help Me." It comes packaged with a 35-minute DVD featuring interviews etc. All members of the Backstreet Boys insist they have not broken up and will be getting together to record a new album in the near future. Break-up rumours have been flying recently. Nick is currently recording a new solo album, and Brian is alleged to have given him an ultimatum between a solo career and the band. 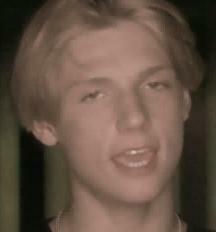 Not much is certain right now, except that the new Nick Carter album is scheduled for an October release. Apologies for the lack of updates, but there has not been much news lately. As you may know by now, Nick was arrested at a club for behaving inappropriately, and later released. The Boys are nominated for a Juno Award for best-selling international album. The Junos air March 14 in Canada. Otherwise, no word on a new album or anything along those lines. Stay tuned for anything that does come up! The MuchMusic video awards, previously cancelled in September due to the events in the United States, were announced December 19th in a one-hour special. 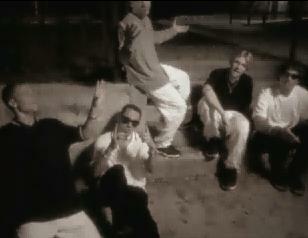 Backstreet Boys won the award for Favourite International Group. I Want It That Way is featured on the MTV birthday compilation "20 years of Pop Music"
Drowning has been released to the radio as a single. No word yet on a video, but recent events in the United States will probably postpone any tapings for a while. The Backstreet Boys were in Toronto for three concerts at the time of the events, and have donated a dollar from each ticket sold to charities to support victims of the incidents. Additionally, the MuchMusic Video Awards have been cancelled out of respect, and they will not appear there. 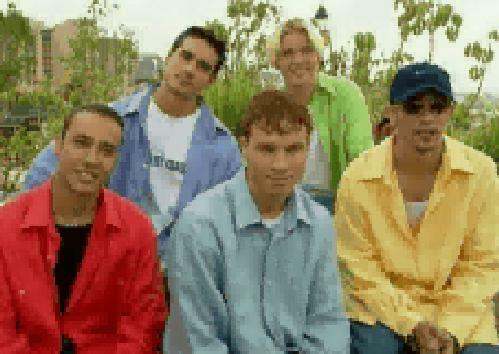 Backstreet Boys will release a "greatest hits" album, but don't call it that in front of them. The new album will be titled "Chapter One" and will be released later in the fall of 2001. It will feature a new song (titled "Drowning"), that will also be released as a single. On a positive note, Backstreet Boys have been nominated for some MTV VMA's! They are nominated in the categories: Best Pop Video (The Call), and also Viewers Choice (The Call). Check out MTV.com for more info. More Than That is now released as a single and video, look for it everywhere! The Backstreet Boys are currently in the midst of a North American summer tour. 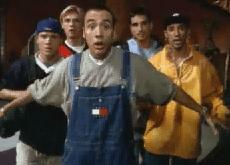 Unfortunately, the Backstreet Boys did not win their grammy category. Lyrics to ALL of the 13 songs on Black and Blue are NOW up!!!! :) Click here to get to Flying Into The Millennium's lyrics page! 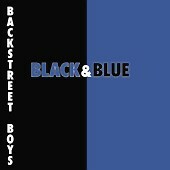 Backstreet Boys recently broke *NSYNC's record for first-week album sales (in the US), with the release of their Black & Blue. Lyrics will be up shortly! Choice Single: Christina Aguilera "What A Girl Wants", Backstreet Boys "Show Me The Meaning Of Being Lonely", Blink 182 "All The Small Things", Britney Spears "Oops!... I Did It Again", Destiny's Child "Say My Name", Sugar Ray "Someday", *NSYNC "Bye Bye Bye", Kid Rock "Cowboy"
Choice Album: Kid Rock "Devil Without a Cause", Limp Bizkit "Significant Other", Blink 182 "Enema of the State", D'Angelo "Voodoo", Britney Spears "Oops!... I did It Again", Backstreet Boys "Millennium", Christina Aguilera "Christina Aguilera", *NSYNC "No Strings Attached"
Choice Love Song: Brian McKnight "Back At One", Backstreet Boys "Show Me The Meaning Of Being Lonely", Britney Spears "From The Bottom of My Broken Heart", Jessica Simpson "I Wanna Love You Forever", Mariah Carey featuring 98º and Joe "Thank God I Found You", Savage Garden "I Knew I loved You", Jessica Simpson and Nick Lachey "Where You Are", Christina Aguilera "I Turn To You"
The Backstreet Boys' brand new radio single is The One. Listen for it on all the pop/rock/top 40 stations, and expect a video coming up quite soon. The BSB will be out of the spotlight for a little while, while they write and record songs for their new album, expected in September. 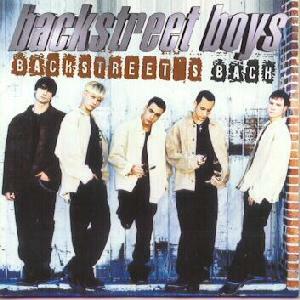 Backstreet Boys won this year's Juno for Best Selling Album (Foreign or Domestic). AJ & Howie were on hand to present Chantal Kreviazuk with her Best Female Artist award, and to collect their award. 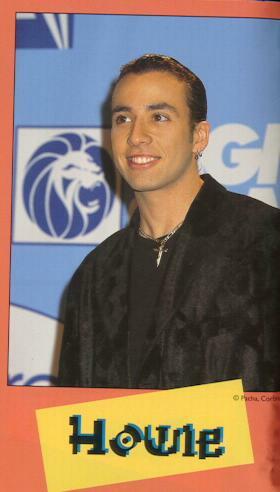 The Backstreet Boys appeared the 2000 Grammy Awards on February 23rd. They performed a male-band tribute, followed by Show Me The Meaning Of Being Lonely, and later in the show sang back-up for lifetime achievement award winner Elton John. Backstreet Boys recently won a People's Choice Award for Favourite Musical Group, and an American Music Award for Favourite Pop/Rock Band/Duo Group! The video for Show Me The Meaning Of Being Lonely debuted internationally on December 31st and January 1st. 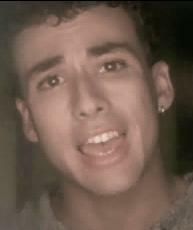 It was the first video to be played on MuchMusic immediately after midnight New Year's day. It is a tribute to the many things that have happened recently in their lives, including Brian's heart surgery, the deaths of Kevin's father, Howie's sister, and Denniz Pop, and some recent break-ups. If you haven't seen it, bring tissues, it is extremely sad. 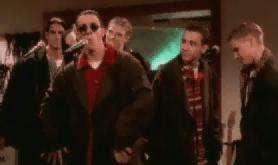 The Backstreet Boys recently received three 1999 Billboard Music Awards: Album of the Year, Albums Artist of the Year and Albums Artist duo or group. Congrats! 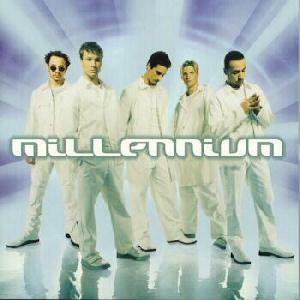 The brand new single from Millennium is Show Me The Meaning Of Being Lonely. Listen for it on your local radio station right now! This site's new title is now "Flying Into The Millennium"
****MILLENNIUM has been in select Canadian stores since Friday. This was not advertised and was probably unofficial. Personally I got it for 15.99, and it came with an exclusive photo! It is a great album, the tracklist below is correct. One unusual thing though--it was only at one store, and it also does NOT include the Enhanced CD promised by CD NOW. There is something quite suspicious about this release, perhaps the CD's on sale are seconds, or maybe the official ones will have the Enhanced CD, who knows! Not many surprises otherwise though... I will attempt to put the lyrics up as soon as possible. If anyone can offer any advice as to what's up with this early release, sign my guestbook! MuchMusic will have a day of 24 hours of Backstreet Boys on May 24th. It will feature a number of live concerts, and other videos. MuchMusic is also showing a clip occasionally (usually before the I Want It That Way video) of their first post-recording live performance of I Want It That Way, singing it a cappella to Rachel, one of the newer MM VJ's. The video for "I Want It That Way" premiered Wednesday, May 5th, on MTV Total Request Live, and the same day on MuchMusic. It is one of their most mature videos yet, and features them singing and dancing at an airport, in front of their plane, and on the (airplane) runway. Each BSB is featured, and the end sequence features a mob of fans watching them. Other little tidbits of information: Millennium was produced by Max Martin, and has already pre-sold worldwide (via CD NOW and other online CD sales) to 3 million copies... Wow. From CD NOW and Tower Records: the tracklist below IS correct. AND--We get ANOTHER Enhanced CD. Amongst all this mess I'm quite glad for this. So Millennium will become BSB's 3rd Enhanced CD--The first being Backstreet's Back and the second being the re-release of the single for Everybody (Backstreet's Back). All right I have to admit I'm totally lost... There are rumours flying every which way, sound files popping up out of nowhere, tracklists, lyrics, singles that don't seem to exist, album covers, TV ads, songs disappearing, reappearing, appearing, and getting renamed, and I'm totally confused. I don't have the slightest idea on any official word as of now. I'll tell you this, the tracklist below is 90% or so gonna be it, the lyrics I have as of now are also correct. I can get the other lyrics, but it will be difficult, inaccurate, confusing, and I will probably end up having to steal them from another site anyway. So I have given up trying to sort out rumours and other info on the 'net, I will post only what I know to be absolutely true. I will NOT post lyrics that I don't receive from 100% reliable sources, and I will NOT post any other information that I do not know is completely true. I apologise. 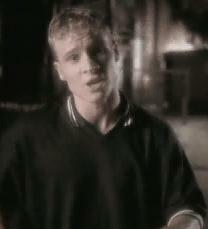 If it's rumours and other gossip and possible true stuff you want, try www.backstreet.net ; that's all I can suggest. I will post any official information I receive. There is another version of I Want It That Way circulating itself through the Internet. Nobody knows where it came from, how it got here, what it's doing here, and what its purpose is. It is supposedly either the album version or a demo version. Either way, they lyrics can be found here. The Millenium track-listing is: 1. Larger Than Life; 2. I Want It That Way (The lead single); 3. Show me the Meaning (Of Being Lonely); 4. It's Gotta Be You; 5. I need you tonight (which is a new version of Heaven In Your Eyes); 6. Don't Want You Back; 7. Don't Wanna Lose You Now; 8. 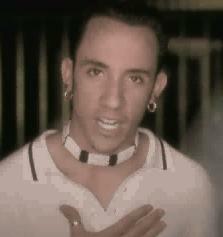 The One (Formerly "I'll Be The One"); 9. Back To Your Heart; 10. Spanish Eyes; 11. No One Else Comes Close; 12. The Perfect Fan. Other songs which were rumoured to be on Millennium which now seem to have disappeared are: "My Heart Stays With You", "Where Can We Go From here", "Side by Side", and "Who Do You Love" (as performed on the Regis and Kathie Lee show in September '98). For some limited exclusive lyrics, visit my lyrics page! Their next album (Third internationally, second in the US) is called Millennium and was scheduled for release in November, but has now been put back to allow for the American release of All I Have to Give. It was released on a single in January, and the album will be out on May 18th 1999. There will be a news section now. It will include new and/or useful information that doesn't really fit anywhere else... I've been using the top part of the page before, so now anything that is major or isn't will go here. 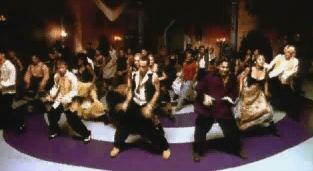 They have done a few compilations with the Bravo All Stars (a combination of Backstreet Boys, Aaron Carter, 'N SYNC, The Moffats, Gil, Squeezer, The Boyz, Blumchen, Caught In The Act, Mr.President, R'N'G, Scooter, and Touché). All the money made off these songs (including 'Let the Music Heal Your Soul, which can be found on Aaron Carter's Surfin' USA Single) goes to charity. Entertainment background: Professional dancer since toddler years (ballet, tap, rhythm-tap, gymnastics, hip-hop, etc. 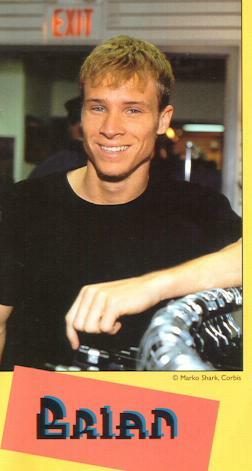 ), plays the keys, sax and bass guitar, has been in 27 professional musical productions, was a JC Penny runway and catalogue child model. Some other stuff: Has been known to be a puppeteer and a ventriloquist. Entertainment background: Has been singing since childhood, got a college singing scholarship but never went to college, was a wedding and church singer, plays the bongos and the acoustic and electric guitar. Family: Parents Hoke and Paula; brother John, sisters Pollyanna, Angie (Howie is the youngest). His sister Caroline passed away of Lupus. Favourite Movies: "Willie Wonka and the Chocolate Factory", "The Outsiders"
Entertainment background: Has been in Nickelodeon and Disney commercials as an extra, appeared in the movies "Parenthood" and "Cop-And-A-Half", been in entertainment and acting since childhood, took dance lessons, attended college and got an arts degree, Old stage name: 'Tony Donetti". Has worked as: A tour guide at DisneyWorld. Entertainment Background: Was the lead in his high school musical "Bye Bye Birdie", wrote songs from a young age, learned to play the keys by ear, worked as a model, has a ballroom dancing instructor's licence, has played Aladdin, a Ninja Turtle, and Prince Eric (from the Little Mermaid) at DisneyWorld in Florida, appeared as an extra in "My Girl 2". Other Nicknames: Nicky, Frack, Mr. Hyper Man, Messy Marvin. Original Hair Colour: ??? Perhaps Dark Brown? Favourite places: The beach and ocean. Entertainment Background: Established early relationships with several Florida-based entertainment agencies, won the Tampa Bay Buccaneers contest to open for them, worked as an opening act for the Tampa Bay Buccaneers (and their cheerleaders) for a couple seasons at an early age, appeared in the film "Edward Scissorhands", Aspiring Cartoonist. 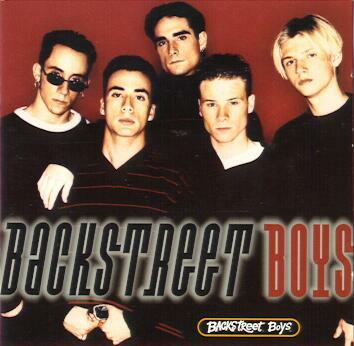 If you know of ANY awards the Backstreet Boys have won; please Sign My Guestbook and tell me. Suggestions?? Corrections?? Additions?? Anything else you want to say?? Sign My Guestbook. Last updated December 21, 2008.